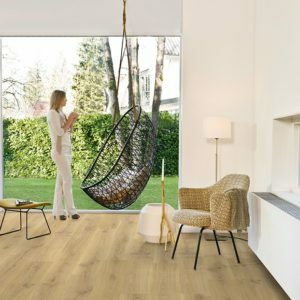 In addition to single-plank designs, the demand for floors with multiple bonded strips is on the rise. 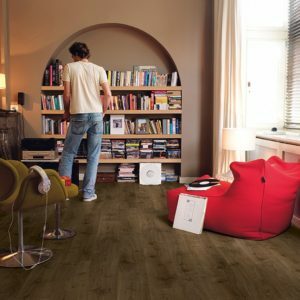 The Creo range features floors made with multiple bonded strips, from 2 to 10. 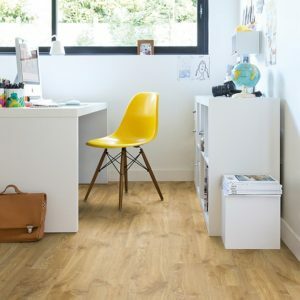 With the Creo range, Quick-Step managed to perfectly bring the width of the strips in line with the unique character and style of each wood type. 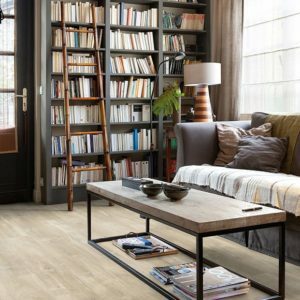 Quick Step has always been known for producing stunning products and they didn’t stop with the Creo collection. 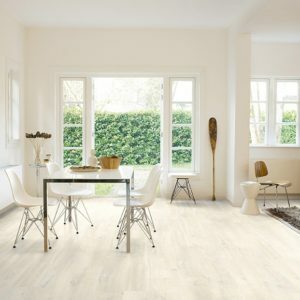 Providing designs ranging in tones from white planks all the way to deep brown tones. 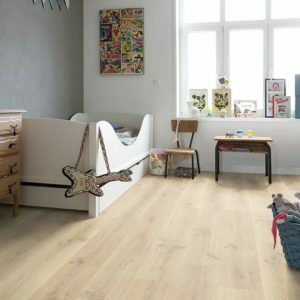 Additionally, the boards have Quick Step’s renowned Uniclic installation system integrated into them. 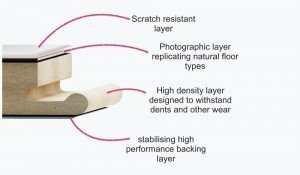 This allows you to click your flooring together with ease saving you money and time. 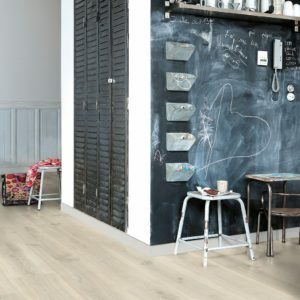 The boards also have no bevel so that the multi plank design runs smooth and fluidly across the floor. 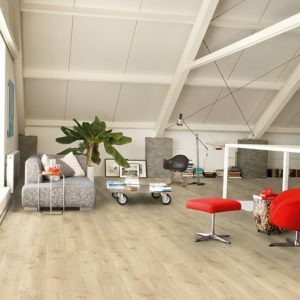 You can even install this flooring over underfloor heating systems allowing you to enjoy your new Quick Step flooring as well as feeling the benefits of your underfloor heating.